When it comes to handbags and accessories, us girls are pretty spoilt for choice. So why should we ask for less when it comes to our gadgets … Luckily, we have some iPhone cases to glam our GnG mobiles phones with. 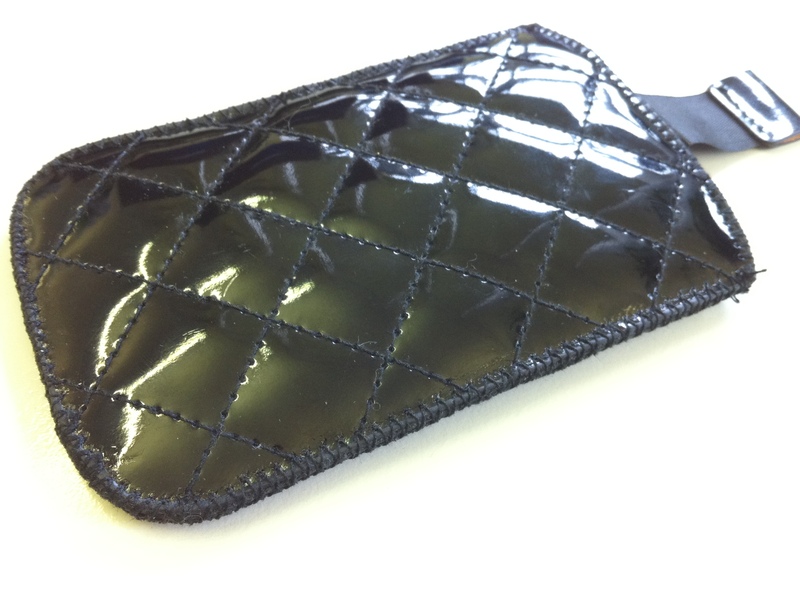 First on my desk is from QDOS, a French company based in Paris (daaaarling) and they specialise in making accessories for our most prised of possession, our iPhones. We’ve got our hands on their its designs for the iPhone and iPod touch. The above case is called ‘The Quilted Slip’ and snuggles the device in a protective slim case that fits in our pocket with minimal bulk. I think that is about the best thing i can say about it … ‘minimal bulk’ that is… I’m a huge fan of the form factor of the sleek and curvaceous iPhone design and cases usually disrupt this beauty. However, i have also seen the disastrous effect of a dropped non-cased iPhone, its not pretty. For that reason I am keen to keep my device protected. Another thing I don’t like about the case is the lack of access to the phone, a big no no in my books. At most you can plug in your headphones, the rest is engulfed by the plasticky case. My verdict 2/10….I prefer my iPhone like a lot of things, naked! The next case is made specifically for the iPhone 3G and 3GS and adds a much needed injection of fun and creativity to an otherwise mundane job of protecting the iPhone. The case is designed by Incipio (myincipio.com) whose cases I have drooled over many a time. Its not just the iPhone the company has on it’s books, but also iPad, BlackBerry and other smartphones. These cases are for once designed on fun and functionality. 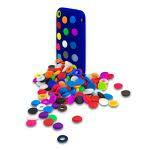 The Incipio case is called the Dottie, aptly named due to the silicon discs that slot into the back of the case … these colourful cases come in a range of colours including purple, black, navy, red, charcoal and the one I have, white…with a variety of coloured discs to play around with. The iPhone slots snugly into the case and makes me feel secure that a drop or knock would not have me yelping in fear of a cracked iPhone. It seems it is not only me that has gone potty for the Dottie, the case won an award for Best of Show 2010 iLounge … aww, like a little puppy at Crufts! (minus the crazed owners, well apart from me). All in all I would give this case an 8 out of 10 for the sheer fun and I would proudly bring it out on a night out. Previous Previous post: Why choose Blu-ray?